Carrie: As a pet product expert and the CEO of a daily deals site, I'm sure you see a lot of different kinds of products that would make perfect gifts for our own dogs or the dog loving friends in our lives. What's your number one category for pet gifts? curate high quality products to make it simple and easy for dog owners to spoil their pups. Our number 1 category for pet gifts are dog chews. 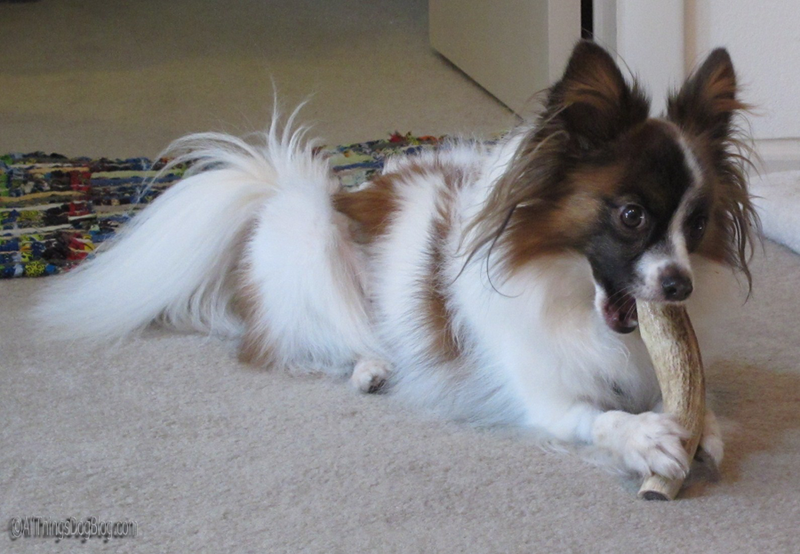 There is nothing more a dog loves than chewing on a bully stick, himalayan dog chew or an antler. Other popular gift products that we sell are the toy of the month and treat of the month, which is a great way to spoil your pup. 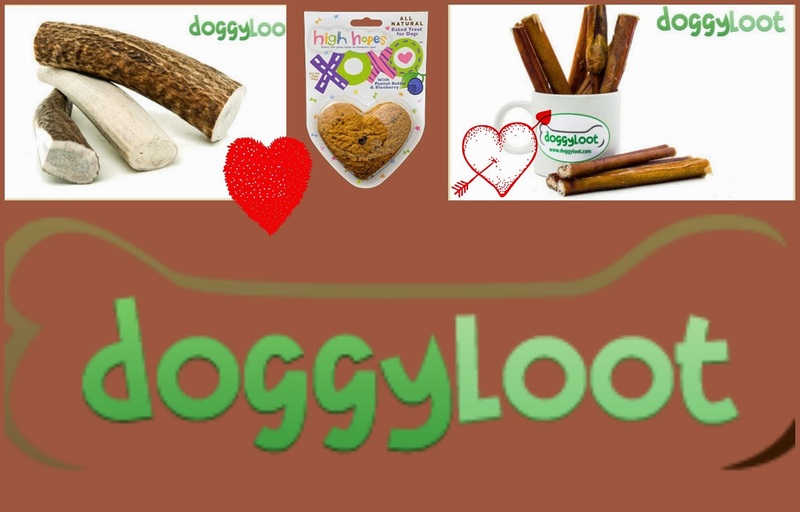 We have learned that our customers love to surprise their dogs with a new treat or toy from doggyloot each month. Carrie: I certainly do see a lot of interest in healthy treats as I interact with pet owners through my site and our social media events company, Event Barkers. Treats and toys are a fave of our Twitter Party attendees. How would you rank toys in popularity against treats, based on sales at Doggyloot? Jeff: Dog chews are the most popular products that we sell followed by dog toys. During the busy holiday shopping period, we just experienced a huge surge in toy sales. There is no doubt that consumers are focused on healthy treats that are grain free, wheat free, all-natural, and made in the USA. Carrie: Certainly with all the recent news about safety issues with treats from China, many consumers are more aware of watching out for the origin of their pet's snacks. My readers are also more tuned into ingredients. I personally am cautious about artificial preservatives and food coloring. That's why toys are sometimes my favorite gift for a friend's dog. Tell me about your upcoming features in this category. Jeff: We think that it’s very important to know the source and ingredients of all the consumables that we sell. Thus, we won’t sell any consumables that are made in China. For our Treat of the Month program, we also only feature Made in the USA treats with limited ingredients. Consumers want to know that they’re giving their pups high quality products. Carrie: Sometimes I like to pick up a dog-lover gift for a friend when I don't really know much about her dog. 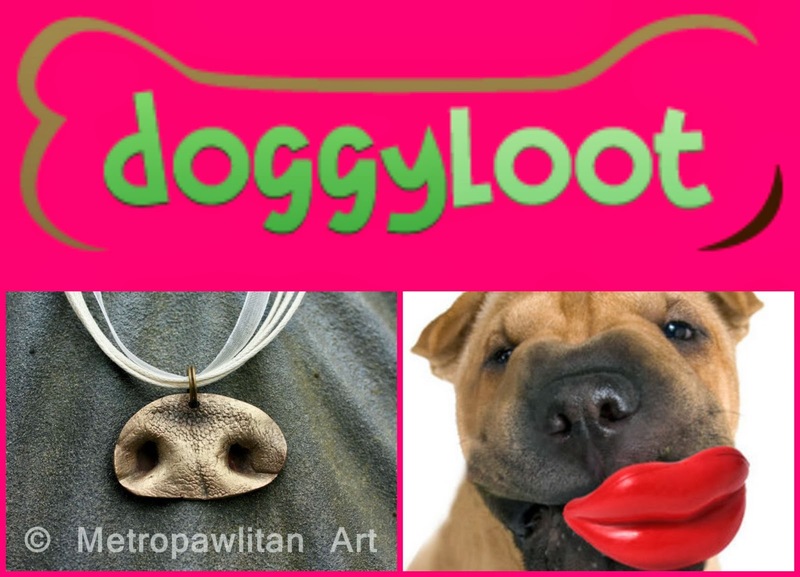 Does Doggyloot feature gifts for pet lovers? Give my readers some examples of the types of gifts we might find if we subscribe to your daily deals. Jeff: Dog beds, collars and leashes make great gifts. Also, if you know the size of your friend’s dog, then buying a great coat this time of year might give you a friend for life especially after the Polar Vortex. We also find unique products for dog owners and dog lovers to help accessorize or make their lives easier. Dog pendant jewelry, recipe books, and special leash attachments are just a few examples. Carrie: My favorite column to write at All Things Dog Blog is my Weekly Wag column that features inspiration and ideas for bonding with your dog. What's your top pick for a product category that helps to bring pet parents and their Fido together in mutual joy? Jeff: I love fetch and tug toys. This is great way to have interactive play with your pup and tire them out. What dog owner doesn’t love a tired dog? I can't think of a better way to enjoy a Valentine's Day with your dog than by spending time walking, playing and cuddling with him. Tanner, Oliver, Jacque and I will be doing just that! Here's wishing you a wonderful day of Valentine bonding. The nice folks at Doggyloot are offering a $5 credit to new customers who make a purchase using this link. The credit will be applied to your balance at check out. Thank you for taking time to read this interview. Jeff and I hope you enjoy your shopping expedition at Doggyloot! My interview with the Doggyloot CEO was not compensated, nor is this post or the $5 discount code included in the last paragraph. I simply want you to learn about fun ways to save. Enjoy! I write for DoggyLoot's blog, "DoggyWoof" each month! Great people over there, and always awesome deals on toys, treats, and doggy productts!! I love doggyloot as well. They have great products, with great prices! Excellent interview and great company! Thanks for all the info! !